After spending almost two weeks in Europe for our honeymoon trip (Switzerland, Iceland & Amsterdam), it is finally time for us to go home. Honestly, I can’t wait to be home because I’ve been missing all the Asian food! Unlike our first suite class experience from Singapore to Zurich, We weren’t as lucky. The suite class for return flight was fully book so H book the Business class for return flight from Amsterdam to Singapore. Honestly, flight redemption isn’t as easy as it seems to be! Nonetheless, I was really happy and grateful to be able to experience these flight! It’s my first time on business class! 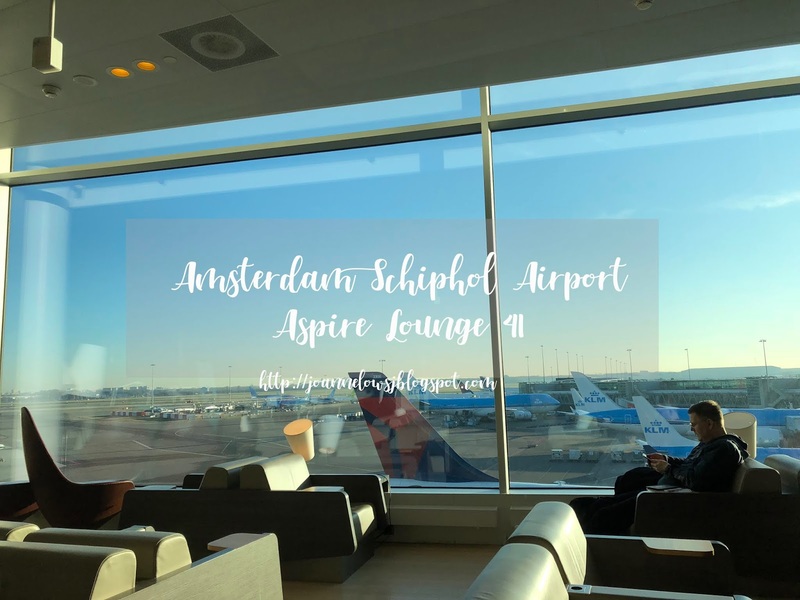 After checking in at the counter, we were given lounge pass to Aspire Lounge 41. Despite the business priority queue, we took quite some time for our turn. We bought Godiva chocolates from the airport and head to the lounge. The interior of the lounge was designed in a clean and marble theme. Plus, the Lounge overlooks the air field and one can watch various aircraft arriving and departing from the runway. Unlike the lounge we have been to, Aspire Lounge 41 is very crowded! Thankfully, flying with Singapore Airlines has its advantage. A space was allocated for SQ passengers and we didn’t had a hard time to find our seat. Plus, they had an separate hot food spread for SQ passenger. The food in SQ section and the main buffet spread is more or less the same. There was a wide range of food to choose from the breakfast spread! From muffin to porridge, there is something for everyone. Plus, there was different type of drinks to choose from and I was spoilt for choices. Beer for breakfast? Free Wifi-service for normal internet speed. However, if you want high speed internet you can choose to top up. Besides, shower facilities are available at a €17.50 for passenger who wants to wash up before boarding. Although the lounge is crowded and the interior design of Skyview Lounge in Basel Airport is better, we were pleased with the overall lounge experience! The staff was attentive and always smiling and hot food was pretty good too! Soon it was time for departure! We left and walk to the boarding area.